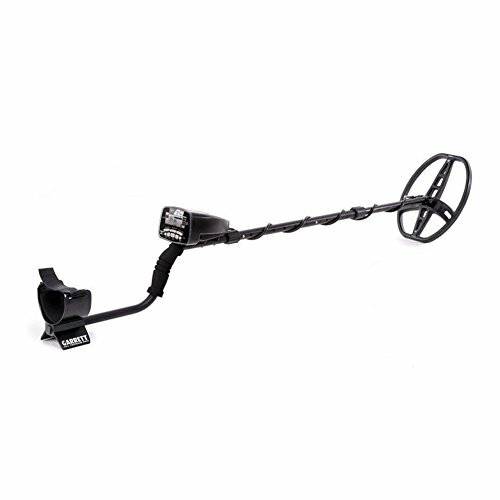 Before you start even looking to buy a underwater metal detector, you need t to decide upon a few features first. There are a few things you need to ensure before you go diving underwater, first, you need to get the right kit for the task at hand. 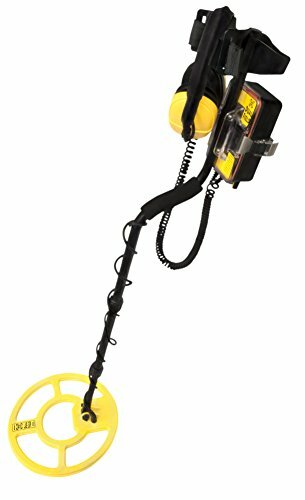 There are of course a few obvious things you need but let’s start with the biggest first, what is the best underwater metal detector for you? Obviously, if you want to take your detector underwater it needs to be one thing above everything else, waterproof. 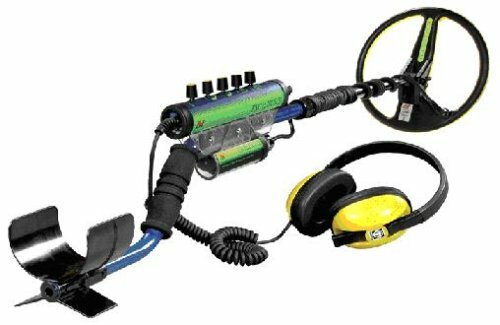 We’ve gone ahead and reviewed the best underwater metal detectors below, after that we can go over what other equipment you need to get going! Most of the detectors that make this list will cost somewhere around the $1,000 mark, however the main reason that the AT Pro is my number one choice is the price. You are looking to spend almost half of that, a lot of people that I’ve previously helped with underwater detecting actually owned the AT Pro before due to its strength at detecting on land also. Submersible to 10ft it can handle most places any hobbyist would want to go, if you’re looking to go deep sea diving you will, however, have to find an alternative. This detector is also able to survive in fresh and salt water, we all know what effect salt water has on electronics normally however not here. Whilst only able to support 10ft that is more than enough for most of the readers of this website, if you are a bit more adventurous check out the other models below, there are some perfect examples of deep sea detecting down there. Something for the more adventurous of us out there, this model can go all the way to 200ft depth, a bit more than I’d personally like to try. This model has an adjustable frequency, it comes with a BBS multiple frequency upgrades, ranging from 1.5kHz – 25.5kHz which makes it perfect for finding something no matter the surface. Also fitted with RCB, what this does is amplifies the weak sounding detection and amplifies it through the coil ensure you’re not missing out on any potential finds. Which let’s be honest, if you’re 200ft down you don’t want to miss out on anything! For safety this Excalibur has a Hi-Vis paintwork, this is to ensure that when you go down as a party, nobody gets lost. Which is terrifying and also exciting at the same time. The Tesoro also comes with a terrifying 200ft depth range, which will satisfy even the most adventurous among us. This particular model comes with a specialty in finding gold, which is why this is the most popular for the gold searchers you see on TV. What I liked particularly about this model is the ease of adjustment, at 200ft down you can imagine having a complicated detector is far from ideal, what Tesoro have done is really made a simple yet very powerful piece of kit that is perfect for anybody looking to dive. To cut down on the breakables it has been hardwired at 12.5kHz, however, it does have 4 controls to fine tune your detecting experience. This model comes with a 100ft depth range, whilst less than others on this list it certainly makes up for it elsewhere. Fitted with near neutral buoyancy coil which makes diving that much easier, you can imagine you don’t want to be fighting to keep your detector afloat and at the same time, you don’t want it to plummet. It’s 12” Duel Field search coil is specifically designed to be sensitive to gold, yet it will still pick up other metals in the ground, you’re able to adjust this on the go. 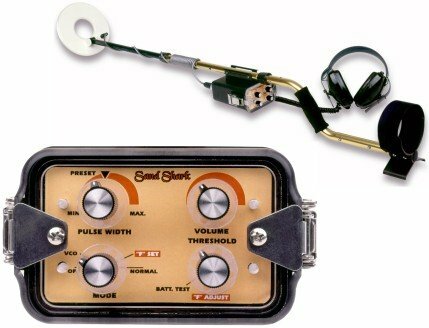 A common problem with underwater detecting is the picking up of black sand and other trash targets, the adjustable pulse delay does a great job of reducing this whilst underwater. It carries on from Whites very high standards. Before you buy any detector you need to consider the need, what exactly are you planning on doing with it. This is especially important when looking for a waterproof detector, are you planning on diving down over 100ft? Or perhaps testing it out on a river bed, doing this will save you money and also get you a better detector for your needs. What are you looking for? Most (Not all) of the people who’re taking their detector underwater are looking for gold, then you should consider getting one that is specialized at finding gold underwater, the same goes for silver or any other find. When it comes to deep detecting you want in essence the simplest piece of kit possible with you, it’s dark and murky and having something complicated is only going to hinder you. Also the simpler the kit the less likely it is to break, whilst all the detectors above come with substantial warranty it’s something to consider. There is always a risk when going out of the recommended brands that what you’re getting isn’t quality, this is especially important when dealing with something that claims to be waterproof. It is quite common for “waterproof” products to just be covered in a sealant which until broken makes it waterproof, doing this you could make any product waterproof for a given amount of time. The detectors above are all designed to be waterproof and last. These are not once and done products, they are all subject to extensive testing. Before making a purchase make sure to check that the warranty length and terms are something you are happy with. Aside from the actual diving gear as let’s be honest, that is not our expertise. You should consider everything you need. Does the detector come with waterproof headphones for example? Excluding the AT Pro which is designed for rivers all the others on this list would need these but do they come with them (They do, but if you’re considering something else)?